Each page has a written story and then the page folds out to show a large picture and a list of items to find in the picture. 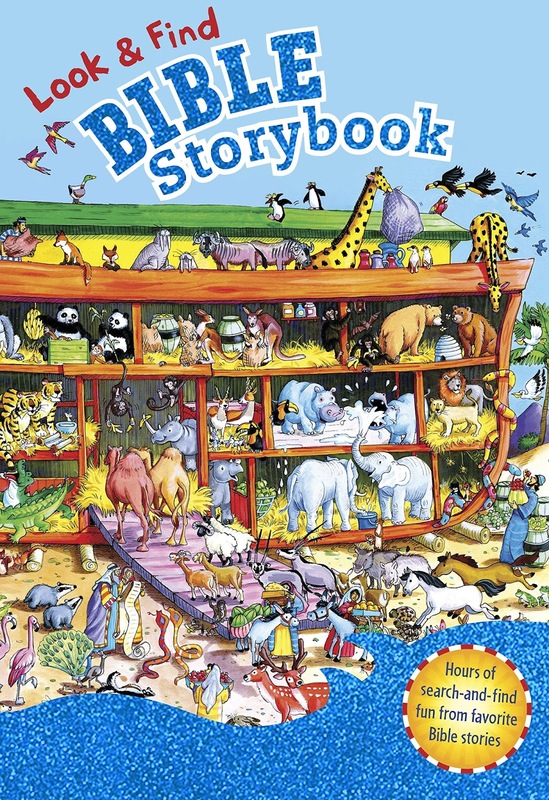 The stories are Biblically accurate and the illustrations are incredible. There is so much detail on the page that you could look at this book over and over and pick out new facets that you may not have noticed the first time. Also, for kids who can't read- like my son- there is a list of items' pictures to find in the larger illustration and then there is a written list of different items if they can read or that someone can read to them. I love that my son, can pick this book up and find items on his own. We have been using this for our nightly family devotions. My four year old sat and listened to the story and then had so much fun finding the various items on the list. And then come back and let me know what you think!